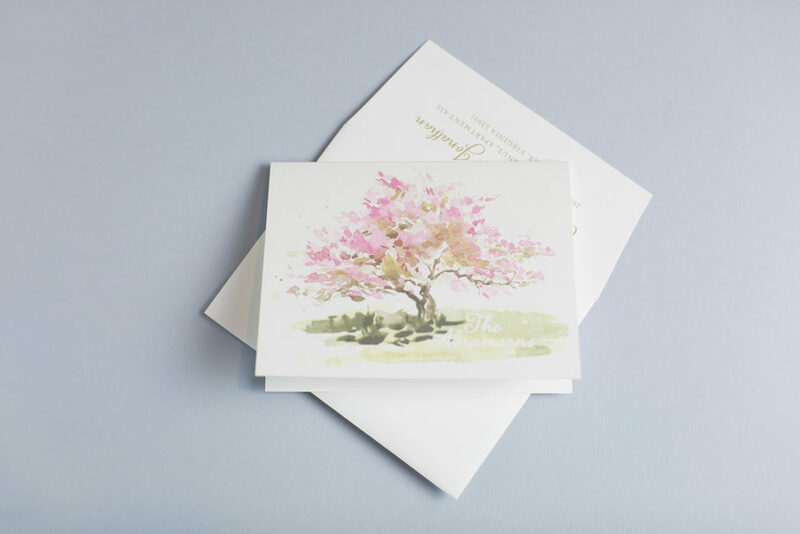 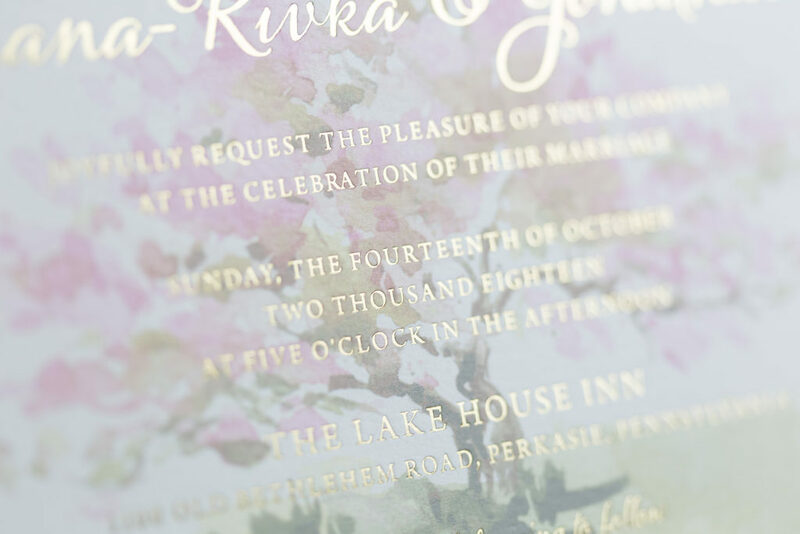 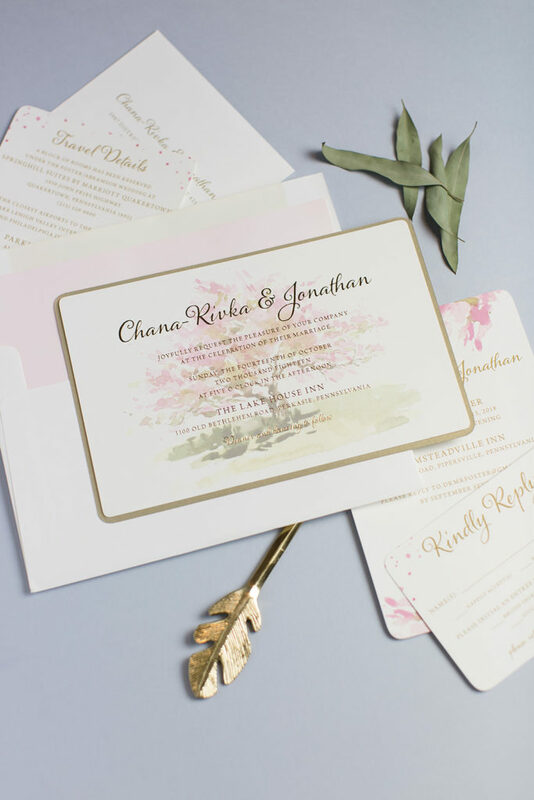 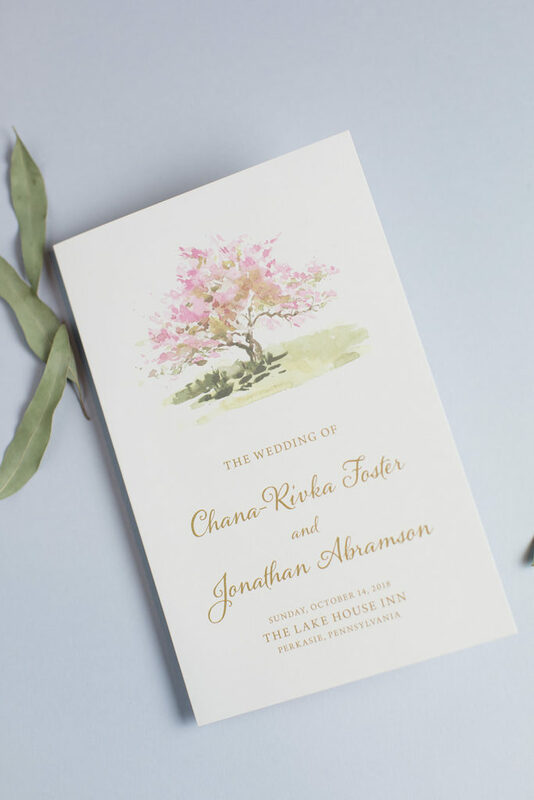 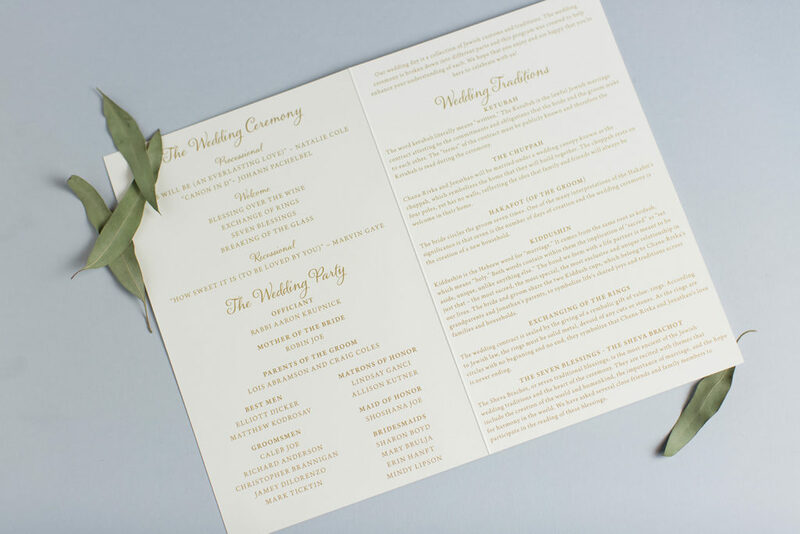 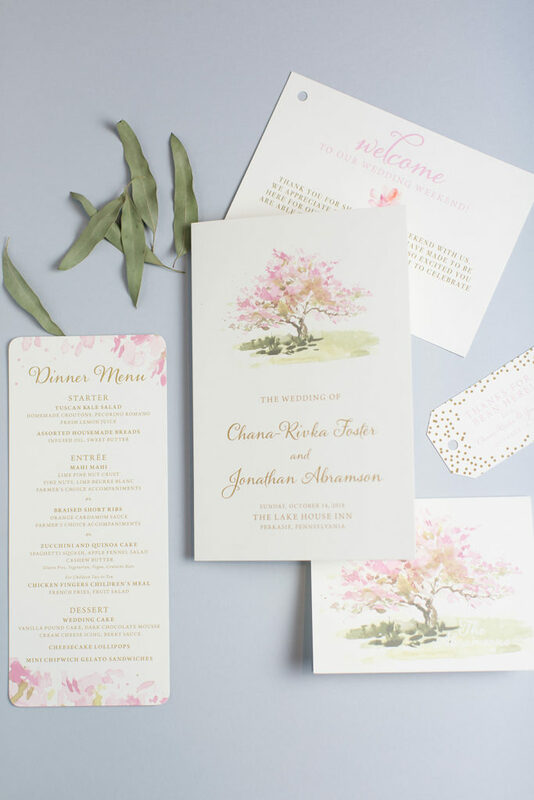 Chana-Rivka and Jonathan selected the beautiful “Orchard” design from Designer’s Fine Press and made it their own by adding a metallic gold backing layer and carrying some of the beautiful watercolor art to their envelopes and invitation inserts. 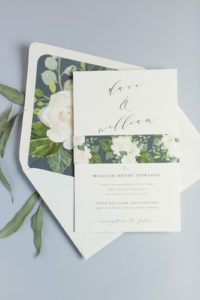 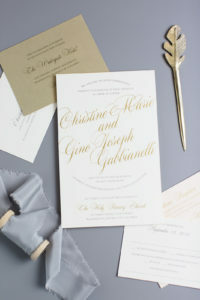 Check out all the beautiful pieces that helped them carry the theme all the way from Save the Date to Thank You Note. 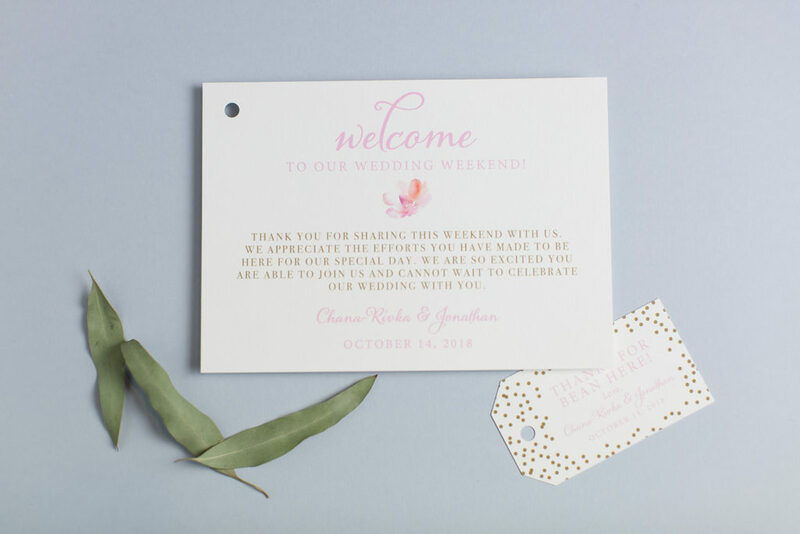 It was such a pleasure working with this fun couple! 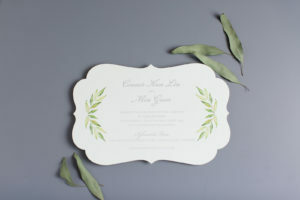 Our appointments were always filled with laughter. 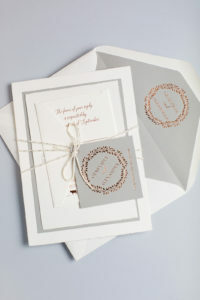 Thanks for letting me be a part of your special day!! 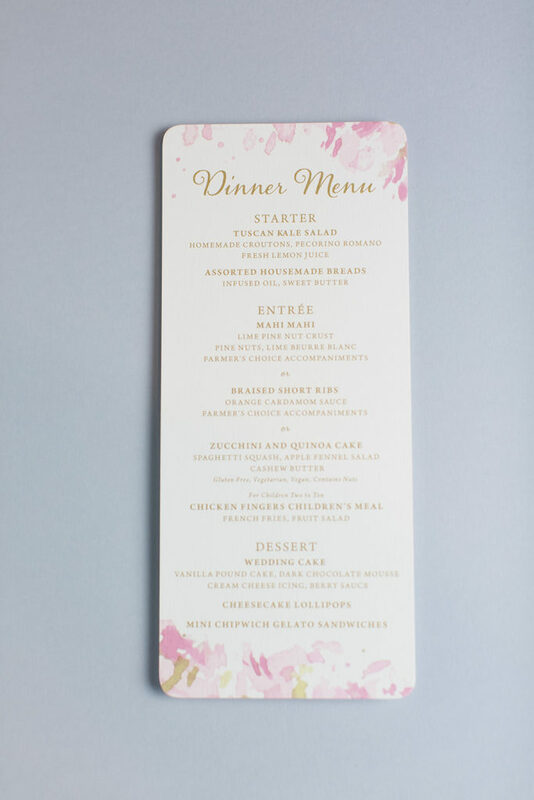 If we could, we would give Kelly, at Staccato, 11 out of 10 stars. 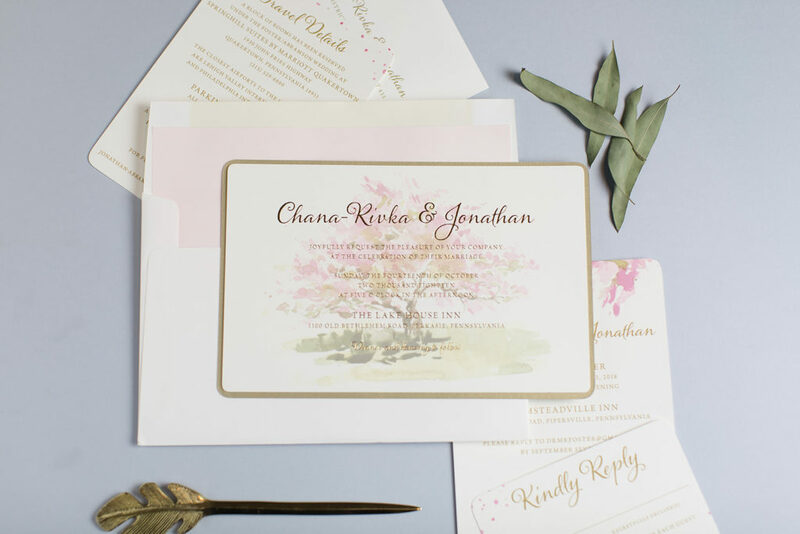 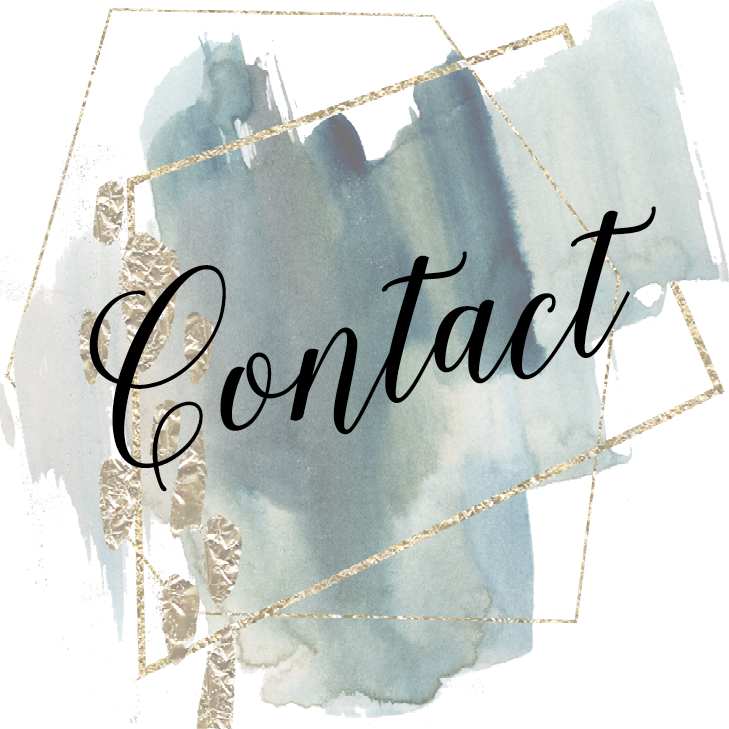 We did our due diligence and interviewed many stationery professionals in the area, but were immediately blown away by Kelly’s magnetic personality, energy, and professionalism.